Whether our dogs love the cuddles or prefer the treats, Marathon staff, just like Marathon coach owners, are known to love their hairy, little family members. 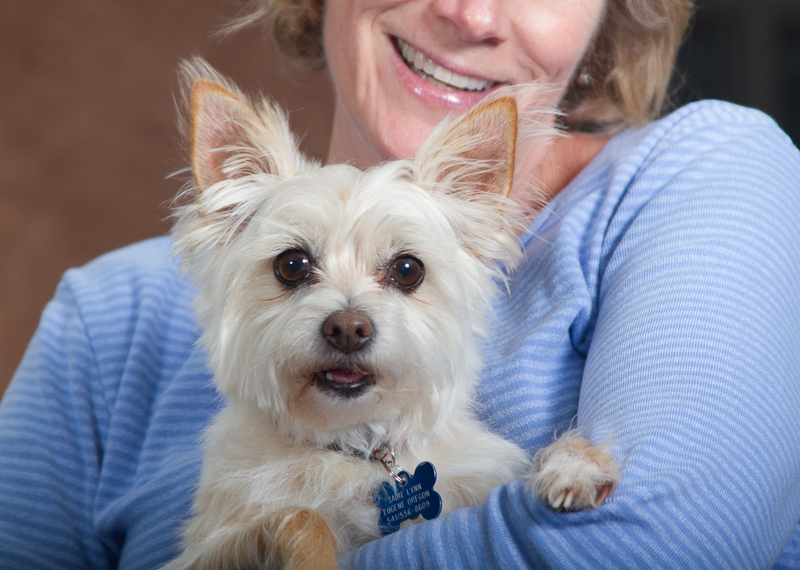 Deb, who many of you know as the Marathon Club’s office administrator, brought Sadie Lynn in for a quick photo shoot. Sadie is approximately nine years old, but you could never tell it by her playfulness. Her favorite things are sitting on laps while being petted, taking walks and eating her fruits and vegetables (she goes wild for carrots and broccoli). Sadie may be a bit spoiled, but who wouldn’t spoil this adorable Cherrier (Chihuahua Terrier mix)? As always, Pete, Marathon Coach’s photography-loving marketing manager, perfectly captured the moment and the many sides of Sadie during the 10-minute session. If you find yourself spending a little quality time at Marathon headquarters in Coburg, Ore., he just might be able to capture some precious moments for you. Next time you find yourself in the area, consider popping in, saying hello and seeing what happens.